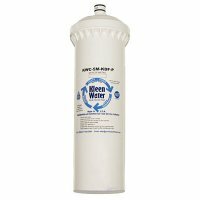 This is a low cost, high quality alternative to 3M Cuno CFS8112 water filter (3M Cuno part #5581705) . This filter is rated for an impressive 10,000 gallon capacity at 1.67 gallon per minute flow rate. The C ELF 5M-KDF-P, KWC-5M-KDF-P-CFS8112 is comprised of granulated activated carbon which is compressed into a rigid carbon block. This design provides dirt / sediment filtration, taste odor chlorine adsorption, chemical removal. The carbon block is infused with KDF media which removes heavy metals, including lead, via the process of oxidation / reduction. The core is then filled with polyphosphate scale inhibitor to complete the construction. This design provides dirt sediment filtration, taste odor chlorine adsorption, lead reduction, scale inhibition and microbial control. 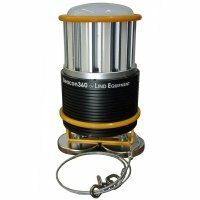 This versatile cartridge can be used for residential and commercial food / beverage applications. 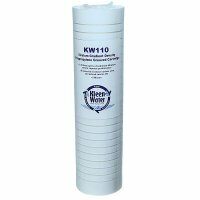 The KleenWater C-Series is for value conscious customers who are using existing permanent heads but would like a low cost alternative cartridge option with exceptional performance.